Critical thinking is the consideration of alternative arguments or theories in light of evidence; it consists of weighing two or more ideas to see which is closer to the truth. In fact, you’re already using critical thinking skills in some aspects of your life. In this two-hour class, you’ll learn why getting into the habit of critical thinking is crucial in the workplace. Through a combination of discussion and exercises, you’ll explore why this way of thinking is different from other types of thinking, such as following a habit or deciding on gut instinct; why critical thinking equips you to move toward better answers or more effective solutions; and how you can use critical thinking to facilitate innovative thinking. Finally, you’ll learn that critical thinking is not at all difficult—in fact, it can be deeply satisfying—once you learn what it is and appreciate its value. You’ll leave this class equipped with examples that you can draw on to immediately use critical thinking in your workplace and improve products and process. You’re a manager in any area of your company and you need to help your team identify and solve problems. You’re an individual contributor in any area of your company and you want to become a thought leader in your area. You lead a growing company, and you need to know how to infuse critical thinking into your workforce. 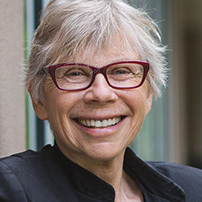 Connie Missimer is a philosopher and expert in critical thinking. Her book Good Arguments, 4th edition offers the basics in analyzing theories and arguments. She has been influential in the critical thinking community for articles on her empirically-based theory and has conducted workshops both nationally and internationally. She joined Microsoft in 2003 and worked in MS Learning, then the nascent Tablet group, and finally in Windows. In 2011 she joined AT&T as a senior manager, where she advised cell phone and tablet partners Samsung, HTC, Microsoft and Google on making their products more user-friendly. She is fascinated by empirical findings, especially strong counterintuitive ones, relating to daily work. She holds over a dozen patents. Her new book, Critical Thinking at Work: Does Your Company Pound or Flex? is now available on Amazon. She holds an MS in Philosophical Literature, UC Berkeley, and an MS in Human Centered Design and Engineering, University of Washington. Exercise: Identify alternate outcomes to situations in the examples that would have led to better outcomes; consider what actions could be taken next.